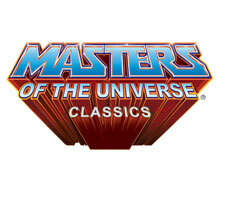 Starting December 1, 2008 at 12 Noon EST, Masters of the Universe Classics figures officially go on sale at www.mattycollector.com! 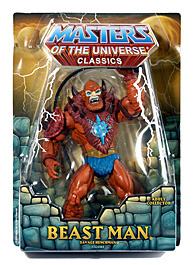 To kick things off, the most powerful man in the universe He-Man and Skeletor’s right hand man, Beast start the official launch of the new Classics Line. Discuss on the Toyark Forums› Views: 4238 › Credit: Da_Last_2_Walk of the Toyark Forums! 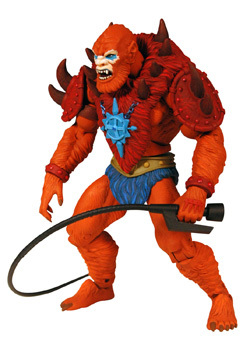 The He-Man & Beast-Man go on sale online tomorrow at noon! I hope I get my order in, I bet they sell out fast! I was going to post a conversation thread tomorrow morning so people can talk about before, during, and after it goes on sale, but this thread can work. I want to get both tomorrow, but I think I might be only able to get one. 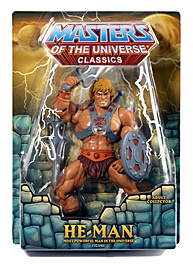 At first I figured it would be a tough call as to which to get, but come on, it's He-Man! I really hope they don't sell out the first day. I probably won't be able to order until next week. If they do sell out initially, I hope that they go for a second production run. I really want both of them badly. Actually 2 of each, one to open, one to display. I hope they dont sell out. I'm hoping to get one of each and I wont be able to place my order until tuesday. You maybe ok due to the price per fig but the limit on how many you can purchase has been raised to 10 now. 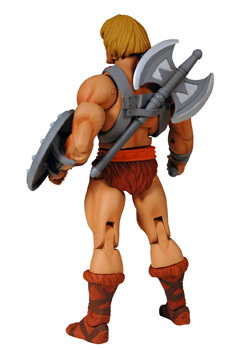 So all of those people that feel the need to Army build He-Man must be happy as hell. 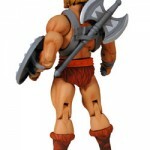 I might be down for He-Man but I'm not sure yet, I don't want to get sucked into a line of 20 dollar figures! I get crazy completionist attitudes sometimes. 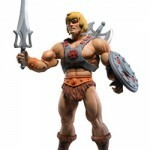 I have King Greyskull, but I dont think I will buy these. In all honesty I perfer the action figure/statue by four horseman and the toy series that failed. Little to old school looking and really dont have room for larger figures, need to save room for Marvel line. Awesome. Are these still slated to be priced at $20? Yup, $20 a figure. No idea what shipping is going to be though, but I'm sure it will be modest. The link below is where you can go to buy them in less than 4 hours! 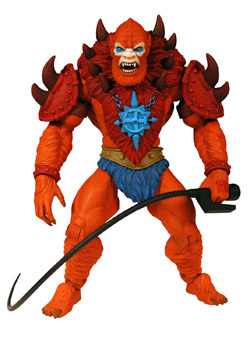 I'm thinking the shipping will probably be from 6 to 8 bucks, that's how much the King Grayskull was. Originally they set the limit at 3 but people complained that it was too low. Now that it is set for 10, I hope the scalpers don't go crazy. I also hope they've upgraded their site to be able to handle the extra traffic. The SDCC debacle was very upsetting. I couldn't get an order in. Got 2 of each, He-Man and Beast Man. No major issues with slowdown. Ordering mine now and everything seems to be working great. I can't order today but I checked the site and it seems to be running very smoothly. Well I hope they last until after the hollidays so I can order them. Of course I go to check out and I realize I forgot my CC, so I'll have to finish this at home tonight. By the by, for those of you buying, it seems you can only pay via credit card. I thought paypal was going to be an option, but I'm not seeing it. That was rather painless. A lot better than that SDCC debacle. Mattel eliminated the paypal option. I think they were having problems processing with it. Just ordered mine.No problem at all. Can't wait to get them at home. 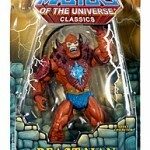 I just ordered 10 He-Man & 10 Beast-man! Joking - I only ordered 2 of each! LOL.. Gonna tear those bad boys open when you get them? 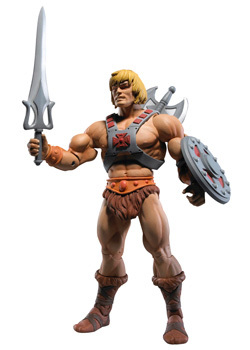 He Man is tempting me. How long do you think these figs will last before they sell out? 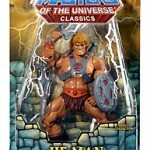 I ordered 2 He-Man and 1 Beast Man! International shipping for the 3 huge figures was only $15.55 USD !!! It was a smooth transaction and works fine with Firefox.